‘Incoterms’ has become a stock term in the international freight world. In fact it is a word that is copyrighted by the International Chamber of Commerce (ICC). Following some years of discussion and drafting within the ICC, they issued the first International Commercial Terms (Inco terms) in 1936. There have been 5 revisions since then, up to the latest – Incoterms 2010. What is meant by Incoterms is a set of rules governing the distinct types of transportation around the World. It codifies what is meant by each of the (currently) 11 identified and generally accepted types of freight transaction that can be used between sender and recipient. It helps them to understand who owns the goods at each stage, who is responsible in each case for the actual task of shipping, who pays for the various cost elements, and who bears the associated risks (i.e. who pays in the event of damage or loss, at a given point). The United Nations Commission on International Trade Law (UNICTRAL) recognises these terms as being the global standard for transportation; and they are available in 31 languages through ICC. It should be noted that the parties to a shipping transaction may agree between themselves to use a previous version, most likely the immediate predecessor, Incoterms 2000. The vast majority of trade, however, is being done using Incoterms 2010. Based in Paris, ICC was founded in 1919. In the chaos that followed WW1, a group of industrialists and financiers were determined to try to bring some order into world trade and to establish some rules and agreements that would make it easier to do business across borders and foster open trading. Its member companies now come from over 120 countries. ICC’s biggest achievements include a code of documentary credits practice for banks, a standard of advertising practice, and of course Incoterms. This latest version was launched in September 2010 but actually came into being on 1st January 2011. This sometimes leads to confusion, with people referring to Incoterms 2011; and you may hear references to Incoterms 2012 or Incoterms 2013. They are not, however, updated annually and the correct reference is currently ‘Incoterms 2010’. As we shall see, the Incoterms are described by 3-letter acronyms that aim to make them well-known and understood anywhere, regardless of language. This latest edition contains 11 terms. The first 7 are applied to any form of transportation: the final 4 are applicable only to sea or waterway freight. It is important to understand the concept of ‘delivery’ as it is understood in the freight industry. It does not always mean the physical arrival of the goods at their destination. It actually means the point at which the seller completes his contractual obligation (so in the case of Ex Works, that is when the buyer loads a lorry with the goods at the seller’s plant). C terms require the seller to pay for shipping. D terms mean that the seller or shipper’s responsibility ceases at a specified point, and they deal with who will pay pier, docking and clearance charges. E terms mean that when the goods are ready to leave the seller’s premises, his responsibility ceases. F terms mean that the primary cost of shipping is not met by the seller. This simple arrangement places the onus on the buyer to carry out the whole shipping process. The seller just makes the goods available at his factory or warehouse at the agreed date: if he physically loads them it is at the other party’s risk, unless specific wording is added to the contract to vary this term. The buyer is responsible for loading, transportation, clearance and unloading. ‘Ex Works’ is also the typical basis of making initial quotations when the actual shipping costs at a given time are not known. The buyer pays all transportation costs and also bears the risks for bringing the goods to their final destination. The seller hands over the goods, cleared for export, to the first carrier with whom he has made the arrangements (even if that carrier has been chosen by the buyer). The buyer normally pays for carriage to the port of import, and risk passes to him when the goods are handed over to the first carrier, even though ‘delivery’ may not take place until the destination. The buyer also pays for insurance. The seller pays for carriage. The risk passes to the buyer when the goods are handed to the first carrier at the place of Importation. The seller also has to pay for cargo insurance, in the name of the buyer, when goods are in transit. This is commonly used in road/rail or road/sea container shipments and is the multimodal equivalent of CIF. The seller pays for carriage and insurance to the named destination point, but risk passes when the goods are handed over to the freight forwarder, who in practice supplies the insurance element. In this system (new in Incoterms 2010) the seller pays for carriage to the arrival terminal, (excluding import clearance). Up to the point that goods are unloaded at the terminal, the risk remains with the seller. Also new in Incoterms 2010, this is identical to DAT, except that the seller remains responsible for cost and risk (exc. import clearance) right up to the point that the goods are ready for unloading by buyer at his chosen destination. This is the polar opposite to EXW: here the seller assumes all costs, risks and obligations, including import duties, taxes, clearance fees etc., right up to the destination point, where the buyer is then responsible for unloading the shipment. (You may also come across the unofficial phrase “Free In Store” – FIS – for this term). This is revised in Incoterms 2010, where now the seller or, more typically, his shipper/freight forwarder, must clear the goods for export. Note that this is not a multimodal term, but is used for heavy and bulk cargoes. The seller’s forwarder puts the goods alongside the ship. It that point delivery is made: and thereafter the buyer’s forwarder is responsible for transport and insurance, at the buyer’s risk and cost. Be wary of the misleading nature of this common phrase and how it is often misused. It is to be used only for exclusively water transportation. Do not use it for road/rail/sea multimodal container transportation – use FCA instead. In FOB, the seller clears the goods for export and loads the goods on the vessel and at the port that have been nominated by the buyer. New for Incoterms 2010 is that cost and risk are divided when the goods are actually on board: but delivery occurs when the goods are on board ship. Under this arrangement (previously known as C&F) the seller must pay the costs and freight to get the goods to their destination port, at which point delivery is achieved (but it is not the seller’s job to clear them through customs). Actual risk passes to the buyer once the goods are loaded on the ship. Note that insurance for the goods is the responsibility of the buyer. CIF is a very common format and it is identical to CFR: the only difference is that the seller also pays to insure the merchandise. As mentioned earlier, the parties may choose to use older terms, and the following that are no longer specified by the ICC may still be encountered. For rail and road shipments. Seller pays for transport to the country frontier. Buyer arranges for customs clearance and pays for transport from frontier to his site. Risk passes at the frontier. You may come across this with bulk commodities where seller owns or charters their own vessel. Unlike CFR and CIF, seller bears not just cost, but risk and title until arrival of the vessel at the delivery port. Buyer pays to unload plus customs duties, taxes, etc. The same as DES, except risk passes only when goods are unloaded at the destination. Seller delivers the goods to the ultimate destination in the contract. The goods are not cleared for import or unloaded. The buyer is responsible for all costs and risks beyond this point. Any variation must be explicit in the contract. What is the legal status of Incoterms? It is important to note the limitations of Incoterms. They do not replace the many and varied legal systems that apply in the world’s countries and trading blocs: and it is these often infuriating legal minefields that freight forwarders encounter daily and in so doing, fully justify their fees. Incoterms are designed to codify basic concepts of risk, the allocation of costs, the point at which delivery takes place, and the responsibility for insurance. This has been hugely beneficial to world trade: it allows insurers to operate effectively at a global level and for all the countries which adhere to the Incoterms rules (that is, most of them) it oils the wheels (and keels) of trade. What International Commercial Terms do not cover are the issues like who covers the goods before and after the delivery process; who pays VAT or other sales taxes; the precise nature of the contract between buyer and seller (although ICC does have model contracts and clauses, these are not legally binding); or when things go wrong, how alleged breaches of contract are settled. The sales contract will state which country’s legal system will apply in that event. International legal harmonisation on trade law issues is something that UNICTRAL has been working on for many years, with some success, but much remains to be done. Other moves that will help international trade have come from the Rotterdam Rules, endorsed by 22 countries accounting for 25% of world trade – they allow for multi-modal door-to-door shipments to have built-in liabilities and insurance issues contained within individual contracts. Another potential step forward towards contractual uniformity comes from the 59 countries (including France, China and the United States but not yet the UK) that are signatories to the U.N. Convention on Contract for the International Sale of Goods (“CISG”). 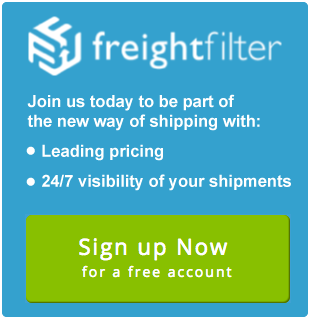 To get the latest tips on shipping and hear our latest news, join our mailing. Freight Filter Ltd is registered in England and Wales (Company No. 08646334). Registered office: 40 - 42 High Street, Maldon, Essex, United Kingdom, CM9 5PN United Kingdom.